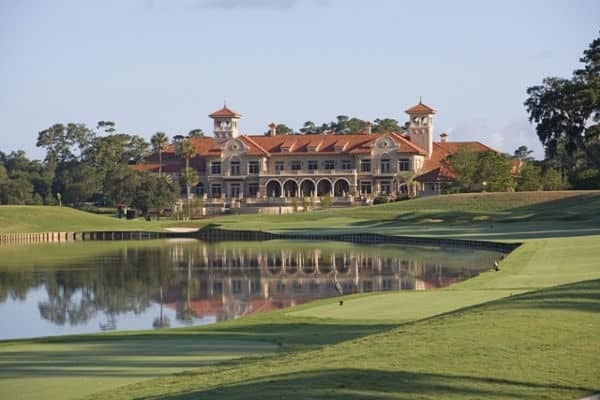 Read our betting preview of the Players Championship featuring the best offers for existing customers, and who the bookmakers think will win. With a prize fund of $11,000,000 this year, only the US Open is more lucrative for the players. The winner will pick up a cheque for $1,890,000. This, combined with the heritage of the Players Champions provides an ability to attract the very top players. The tournament is often unofficially referred to as the ‘5th Major’. 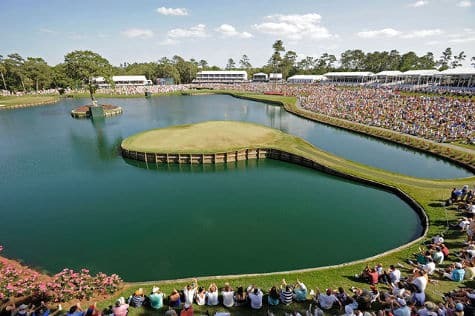 It’s hosted at TPC at Sawgrass on the Stadium Course, and the par 3 17th hole, aka the ‘Island Green’ is its most famous hole. The small green is surrounded by water, and although it is only ~135 yards, the pressure will be still be felt by even the most experienced players. Fifty balls in just the first round in 2007 landed in the water, and that is the professionals. It’s no surprise therefore that an estimated 100,000 balls are retrieved from the waters that surround the island each year. The hole has been decisive in many tournament outcomes, including some of the more recent ones. Martin Kaymer in 2014 sunk a very long pot to par in the final round and eventually won the tournament. The following year, Rickie Fowler won the playoff on the 17th, sinking a birdie after a beautiful tee shot. On paper Rory McIlroy starts as the favourite for 10Bet. Rather than being in fantastic form, this is a reflection of the fact that the tournament is wide open, and really anyone could win. McIlroy has not had the best form, struggling last week in the Wells Fargo last week. Sawgrass exposes weaknesses, and McIlroy has had to rein in his game. In doing so, he has made the top ten three times following consistently missing the cut. Paying seven places & money back – Boylesports are paying seven places each-way, plus money back if they don’t win. Back a player to win outright, and if they come 2nd or 3rd you’ll get your money back as a free bet. Get paid out as a winner if your player leads after the first round – Place a pre-tournament outright winner bet on the Player Championships, and if the player you back is the leader at the end of the first round, Betway will pay you out as a winner. Money back if Rory McIlroy wins – Back a player to win the Players Championship, and if Rory McIlroy wins, SunBets will refund losing stakes as a free bet up to £20. Money back if your player finishes 2nd or 3rd – Less competitive than Boylesports, but still useful if Winner is your preferred place to bet. Get money back as a free bet up to £25 if your player doesn’t win, but does come either 2nd or 3rd. It is fair to say at the Players Championship it’s open and there is no clear favourite. There are six key players all in contention, ranging from a price of 15.00 (McIlroy) to 18.00 (Johnson). That would give each of those players only a 5% chance of winning (via our odds probability tool). Clearly, anyone could win the tournament. The Players Championship is broadcast exclusively live on Sky Sports in the UK. It not available to stream via the bookmakers’ websites.